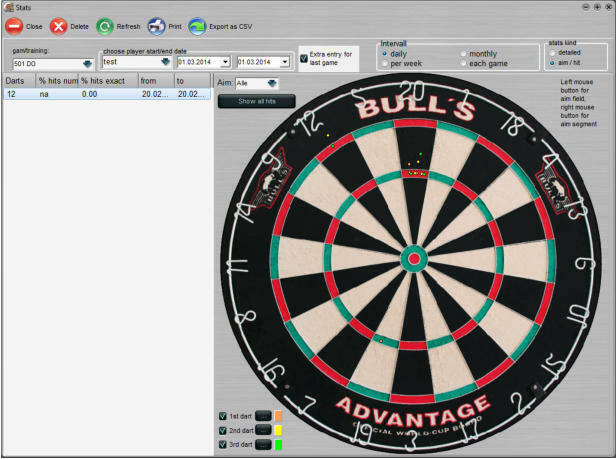 Dart2014 (successor of Dart2010) is an easy to use score and training program. 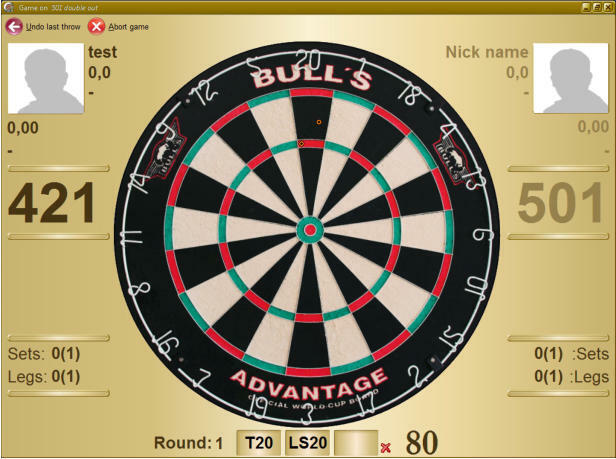 It includes several kind of games like 301/501, Cricket, Shanghai, Round the Board etc., training games, play against the computer, you can even create your own trainings. There a simple and detailed statistics of course including percentage on the doubles and a visual display of you hits. 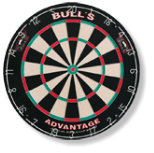 If you like you can not only mark your hits but also your aims ;-). 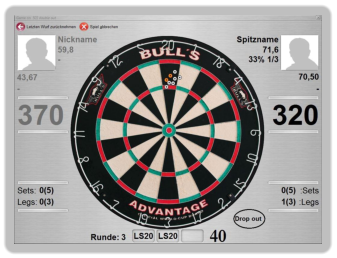 This allows detailed statistics that shows you where you can improve your game. All of the games and almost all of the trainings can be played with as many players as you like. The program supports currently the German, English and Serbian language. Other languages are possible if you willing to do the translation, so just get in contact. The screen shots below gives you a first impression of the functionality. So just give it a try or read more about the program under “in a nut shell” and on the download page.